After our last trip, we've been making a concerted effort to get our (my) stamina back to something reasonable. 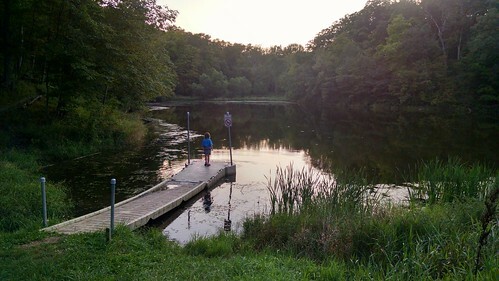 We've added a weekday training hike. Often with packs, but not when its stupid hot or when we're all exhausted. 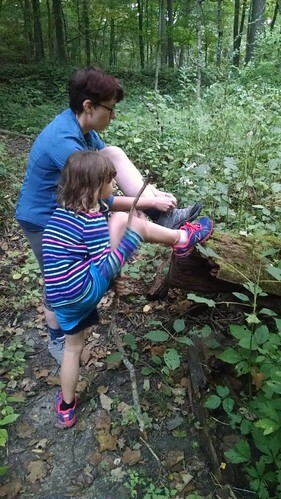 An exhausted hike looks like: I'm not the only one tying my shoes partway in for once! And a lengthy stop at the lake to poke in the mud and admire the sunset. We're also running out of daylight after we get home from work. Soon our weekday hikes will have to be around the neighborhood. Which is completely flat. But even that's better than I could manage a year ago. What sort of training or "training" do you do as a family?